Retro games have always had a certain charm. They invoke nostalgia and make us think of the old days when graphics didn’t matter as much as they do now. Retro games are generally simpler than modern titles. That makes them easier to play. If you’re looking to get your hands dirty with a bit of nostalgic gaming, we have the best retro games currently available on Android. Here are some more old-school type games you might like! Beamdog is a developer on Google Play. They've remastered four retro games. The available titles include Baldur's Gate, Baldur's Gate II, Planescape: Torment, Seige of Dragonspear, and Icewind Dale. These are all early 2000's-style RPGs with vast world, deep story lines, and tons of game play. Each one can easily go for four or five dozen hours. The UI feels cramped on smaller displays. These games are best on larger displays like big phones or tablets. Otherwise, these are all classics. They run for $9.99 each with optional DLC like voice packs. Crossy Road is an iconic retro mobile game. It's this generation's version of Frogger. You bounce a chicken across various roads and streams. You must also avoid obstacles and employ proper timing. It's a simple arcade game that is both family friendly and actually fun. There are also a variety of unlockable characters as well as Android TV support. It hits all of the right buttons. The same developers also did Pac-Man 256 and Shooty Skies, two more excellent retro games. All of them are freemium games, but the freemium element isn't a problem at all. Doom and Destiny Advanced is a retro-style RPG. It features old school mechanics and graphics, a decent story line, and plenty of stuff to do. The developers boast eight playable characters, over 300 enemies, over 500 locations, and a story that should take you a couple of dozen hours to finish. The free version of the game has all of the core game with ads. The full version unlocks some additional content and also removes the advertising. We obviously recommend you try the free version first. DotEmu is another developer on Google Play. They have ported a bunch of retro games from older consoles. Included in their library is the first Ys Chronicles, Titan Quest, the Double Dragon Trilogy, Another World, I Have No Mouth, and others. Their prices, game mechanics, stories, and graphics all vary as they are very different types of games. This is definitely a collection of retro games to check out. The provided link above takes you to the company's developer page with all of their available titles. Evoland 1 and 2 are modern mobile games with retro gaming elements. It's difficult to express their genre. Both games encompass a variety of styles, graphical designs, and game play mechanics. That includes RPG, fighter, top-down shooter, trading card game, platformer, hack-and-slash, and others. These are great games for people who just like old styles but aren't married to a specific type or genre of game. The first one is fairly inexpensive. Evoland 2 is newer and, thus, more expensive by comparison. Both are excellent games. Need more retro games? Check these out! Before Square Enix ported their collection of jRPG classics to mobile, Kemco was where the jRPG market was at. 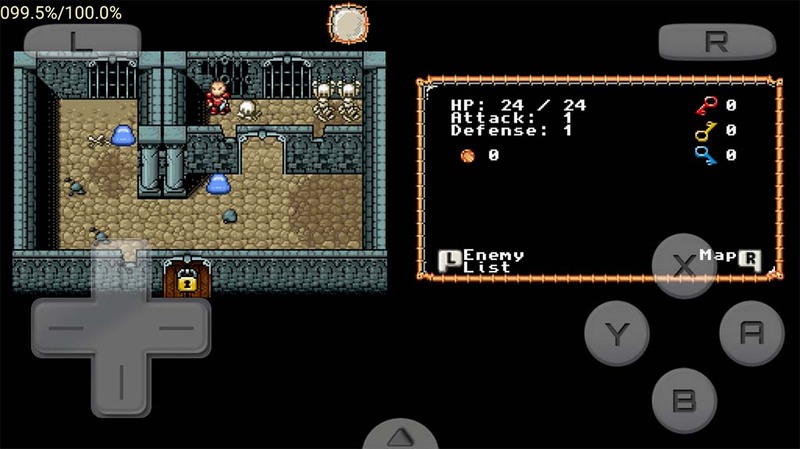 It's been years and this developer has a ton of excellent, retro-style jRPGs on Android. Some of the good ones include Onigo Hunter, Fernz Gate, Eve of the Genesis, and others. Their games go as far back as 2014. Most of them are some type of jRPG with varying graphics from either SNES or PlayStation era of games. They're usually quite inexpensive and only a few of them are freemium games. It's a good spot for fans of the genre. Kairosoft is yet another developer on Google Play. Most of their games have a retro theme and feel to them. Some of the more popular games include Grand Prix Story 2, Ninja Village, Game Dev Story, and The Manga Works. All the games have varying mechanics. However, they do all share a simulation element. In Grand Prix Story 2, you race cars, but you also run a race car business. In Ninja Village, you do combat for regional dominance, but you also much build the ninja village. You see where this is going. The graphics are charming and the game play typically isn't difficult to learn. Some of the games are freemium, others are pay-once titles. There are a lot of options here. Minecraft is a classic. The decidedly retro graphics have long been a part of the game's charm. It also features tons of stuff to craft, kill, explore, and do. Updates in 2017 gave the game cross-platform support. You can play the same worlds on your computer as you can on your Xbox and mobile versions. The games are all basically the same at this point. The game runs for $6.99. The in-app purchases include character skins and Minecraft Realms add-ons. Minesweeper Genius is a new spin on an old classic. It has all of the usual mechanics of Minesweeper. However, it also adds a Sudoku element as well. You know how many bombs are in each row and column in the puzzle. Puzzles get progressive more difficult as you play. It even features randomly generated levels, Google Play Games achievements, cloud saving, and more. It's a cheap time killer puzzle game with no additional in-app purchases or ads. OK Golf is reminiscent of old arcade golf games. This one is about as retro arcade as it gets on mobile for golf, anyway. You drag back and release to launch the ball. There are no clubs or anything like that to distract from the experience. The game also features unlockable courses, secret areas, and challenges. There is even an online multiplayer mode and that adds a bit of modern flair to a classic premise. This one is inexpensive at $2.99. There are no additional in-app purchases or advertisements. Emulators make for great retro gaming. Here are some great ones! PewDiePie: Legend of the Brofist is one of the surprisingly good retro games. It features Pewdiepie in a number of environments doing a number of things. It features platformer mechanics, aerial shooter mechanics, and more. The game includes unlockable characters, real voice acting, boss fights, variable difficulties, challenges, and more. It's also a pay-once game at $4.99. Not everybody likes PewDiePie. However, this game is still pretty good, even with his name on it. SEGA has a bunch of retro games in their SEGA Forever collection. Some of the titles include Sonic the Hedgehog, Altered Beast, Golden Axe, Phantasy Star II, Ristar, Comix Zone, Kid Chameleon, and several others. Each game has their own sets of mechanics. However, they all share a common theme: they're old SEGA games. You can play each one for free with ads. There is an optional $1.99 purchase for removing advertisements. It's a veritable treasure trove of retro games goodness. Slayaway Camp and Friday the 13th are horror games with retro puzzle elements. Slayaway Camp features tons of gore, unlockable characters, 140 levels, and a hair metal-inspired soundtrack. Friday the 13th features 100 levels, all of the various varieties of Jason Vorhees, tons of gore, and more. Both games are by the same developer. The gore would be worrisome if it weren't the same style of graphics as Minecraft. It helps take the edge off of how truly brutal these games can be. They are excellent retro puzzle games with some adult themes. 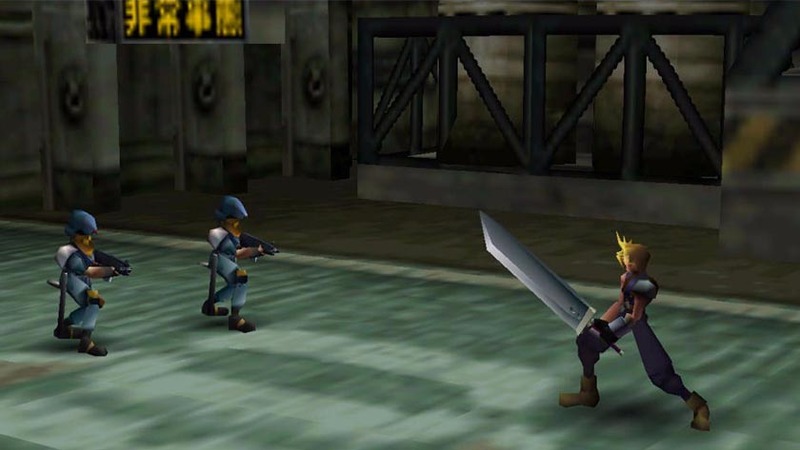 Square Enix is among the best developers for retro games. They ported many of their old console classics to mobile with a bit of modern flair. Some of the titles include several main Final Fantasy games, several main Dragon Quest games, Adventures of Mana, Secret of Mana, Chrono Trigger, Final Fantasy Tactics: WotL, The World Ends With You, and many others. Those looking for jRPG retro games should definitely start here. The games are a bit expensive, though. We understand if $10 or more is too much for a mobile game for you. However, you are purchasing a complete port of these old games with no ads or in-app purchases to gum up the works. It doesn't get much more old school than top-down aerial shooters. Sky Force Reloaded is exactly that. It features a bunch of levels, upgradeable ships, simple controls, and plenty of mini-missions to do. The graphics aren't retro, but they are colorful and look good. It is a freemium title with a few of the usual pitfalls. However, it more than makes up for it by being accessible, fun, modern, and old school all at once. If we missed any great retro games for Android, tell us about them in the comments! You can also click here to check out our latest Android app and game lists!